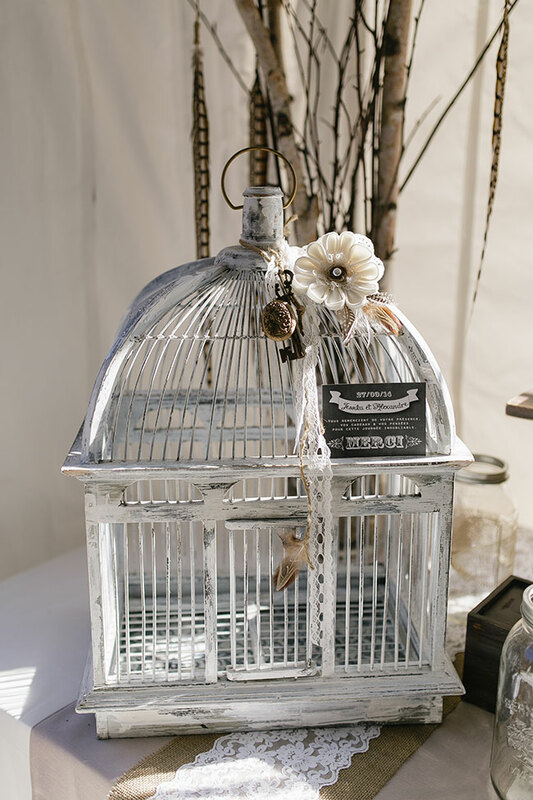 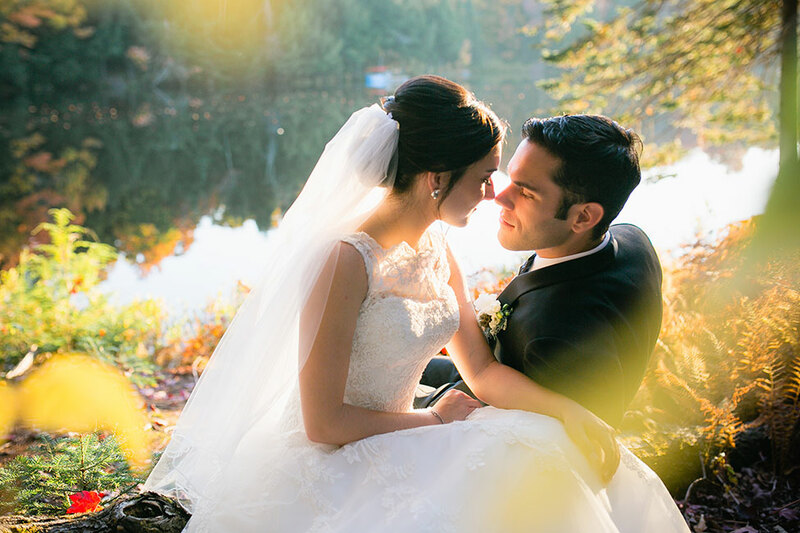 Everyone dreams of a gorgeous, wonderfully romantic wedding. 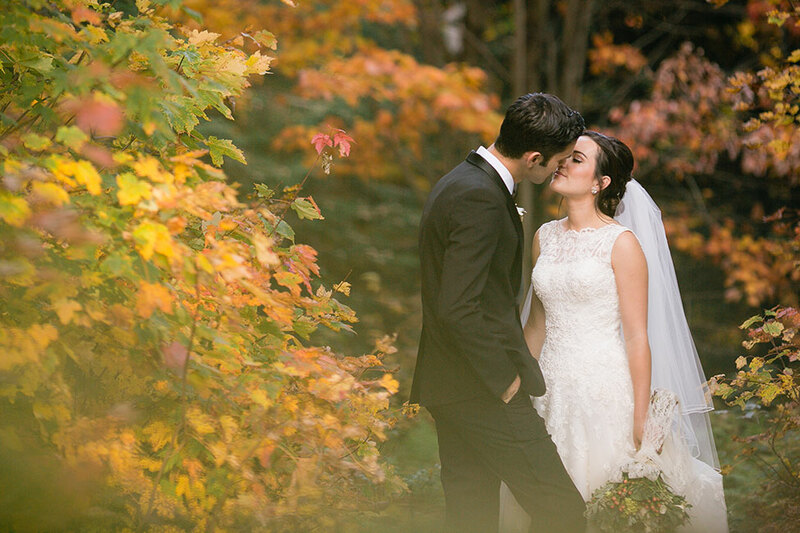 Naturally the definition of romantic varies from couple to couple and that truly is the beauty to it all. 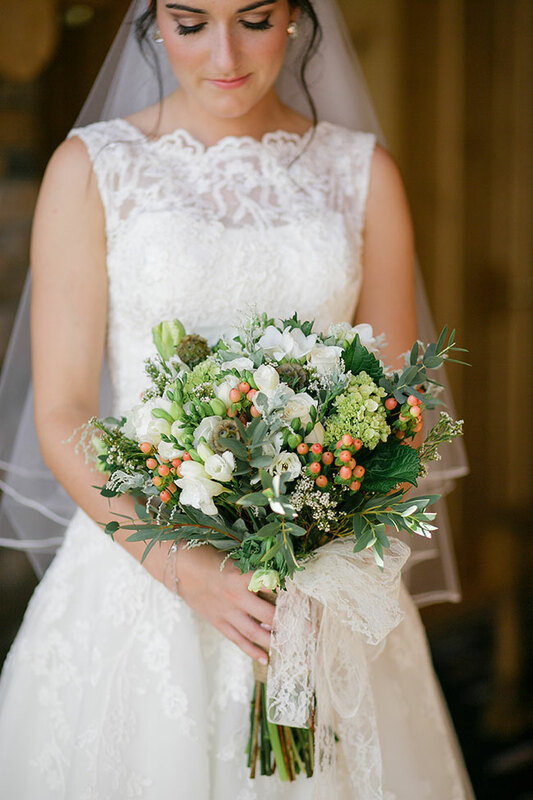 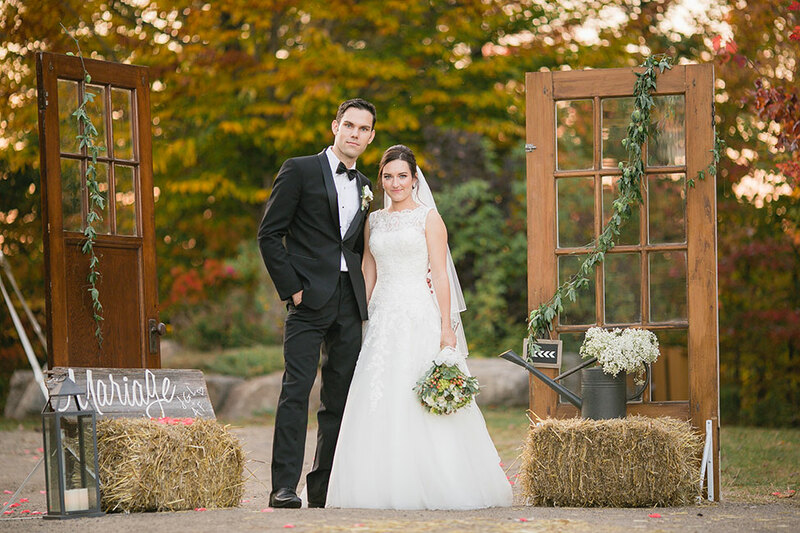 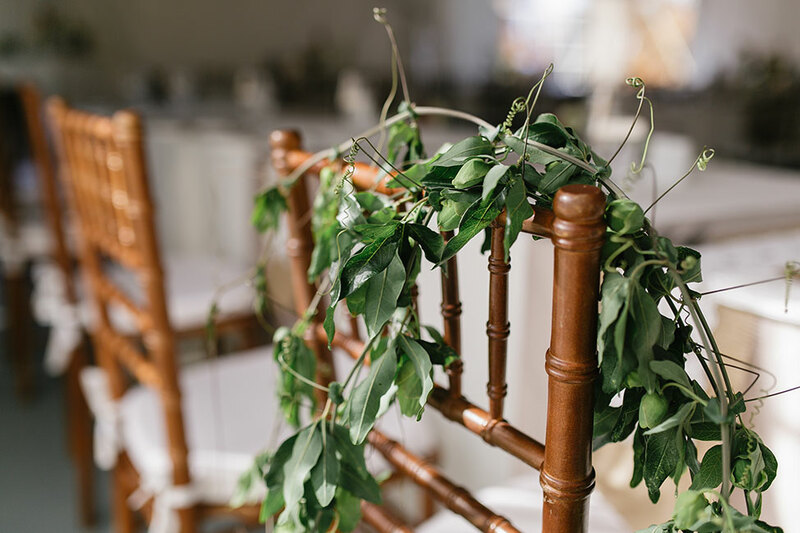 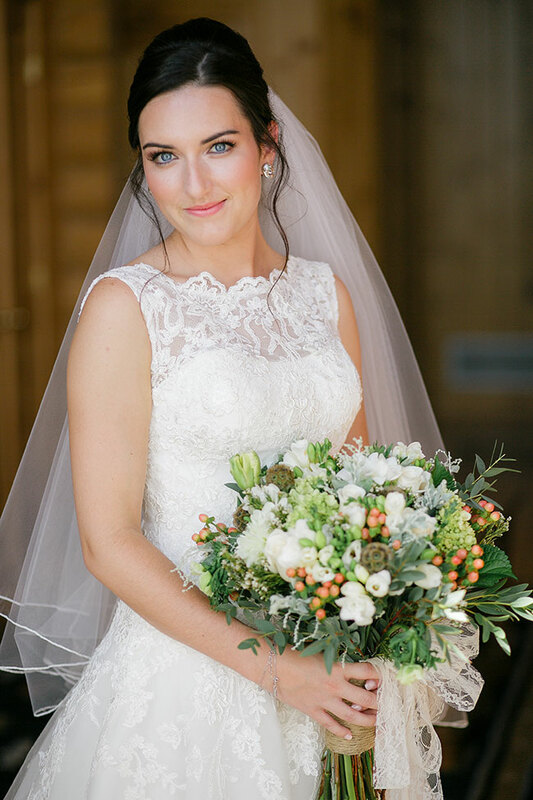 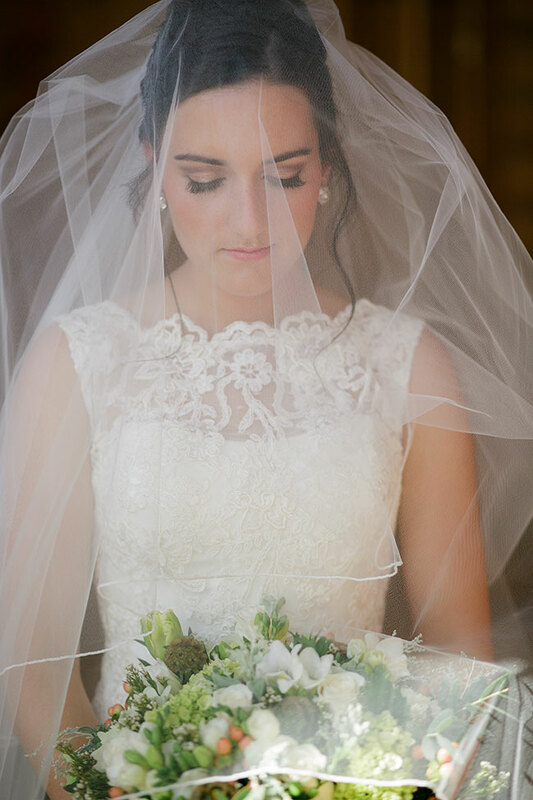 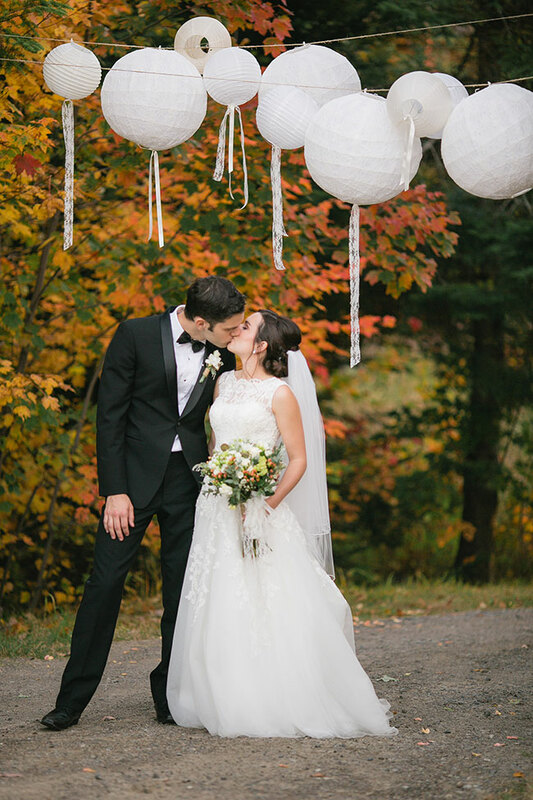 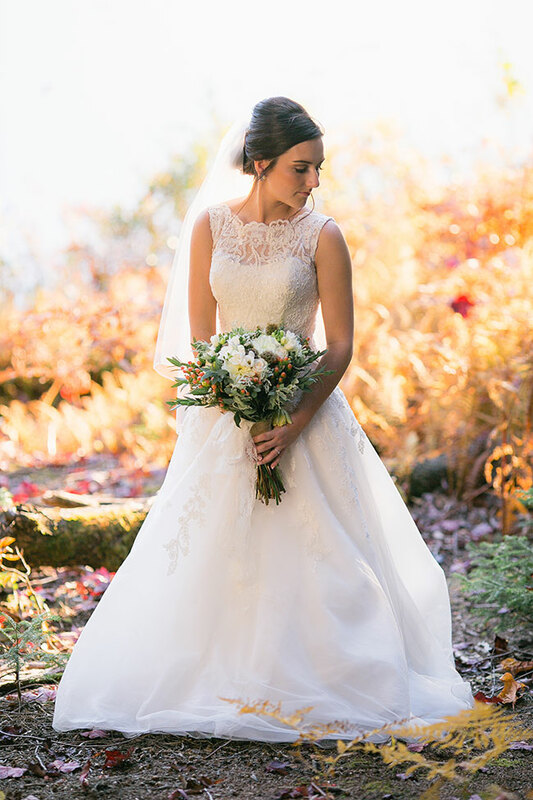 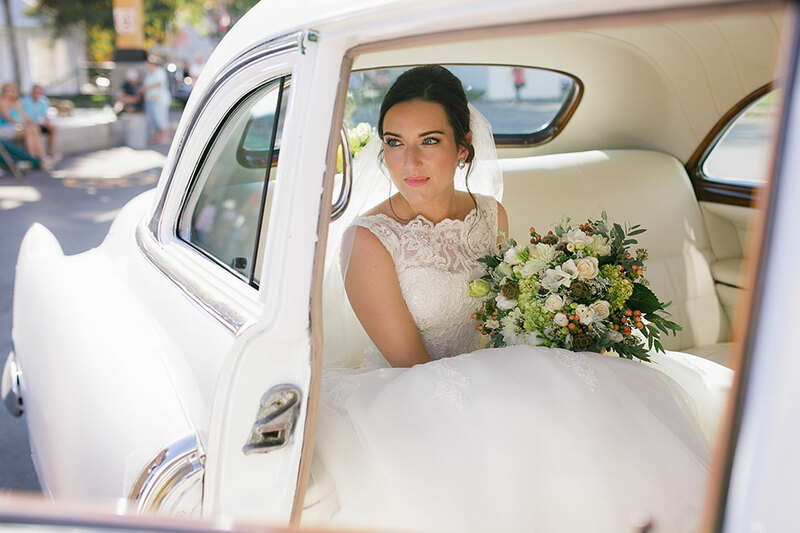 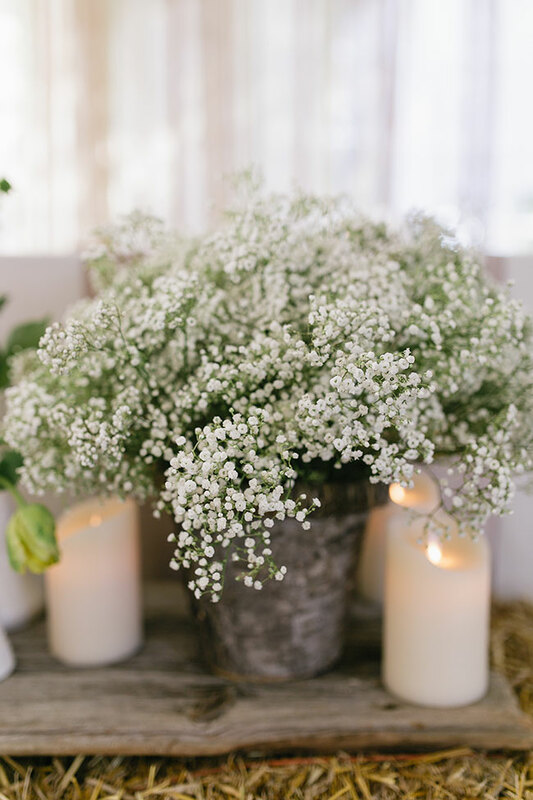 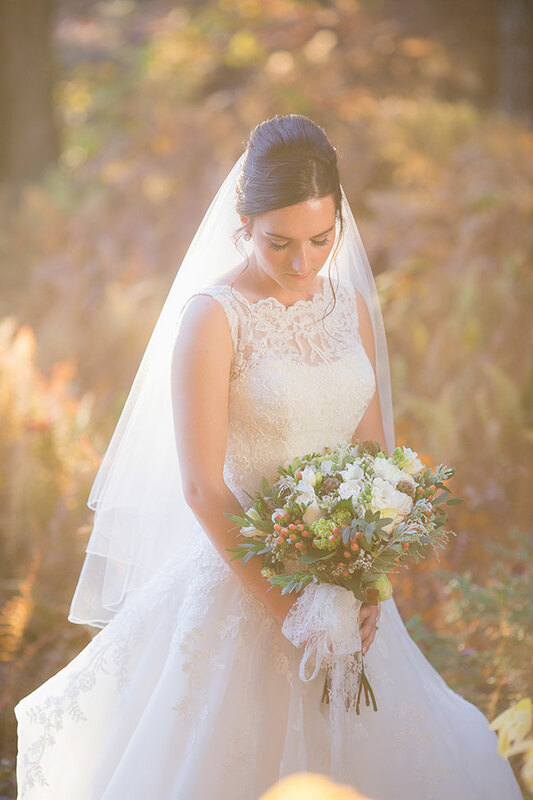 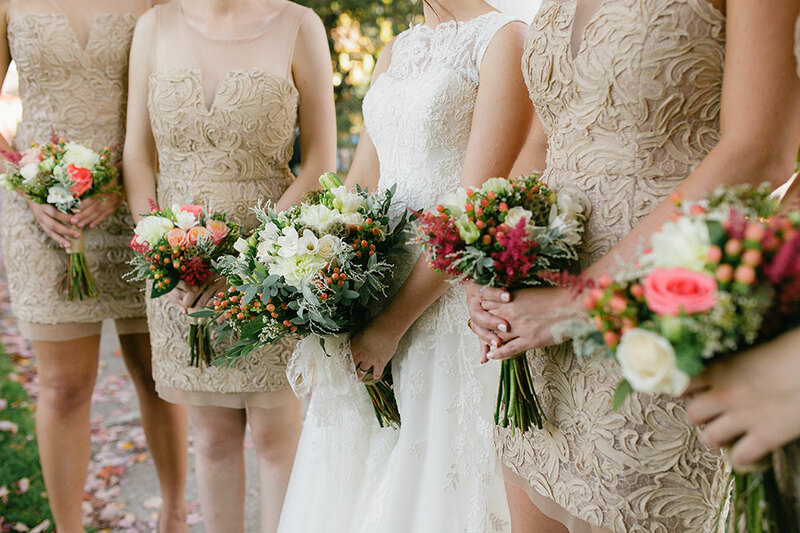 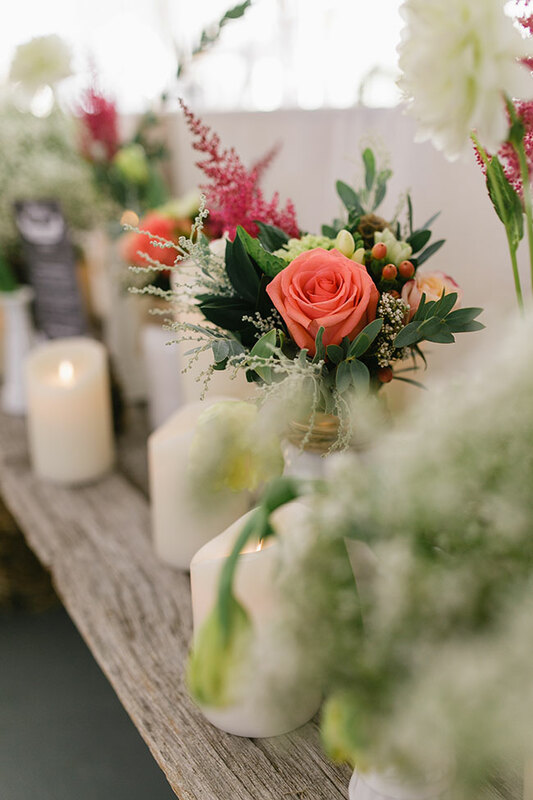 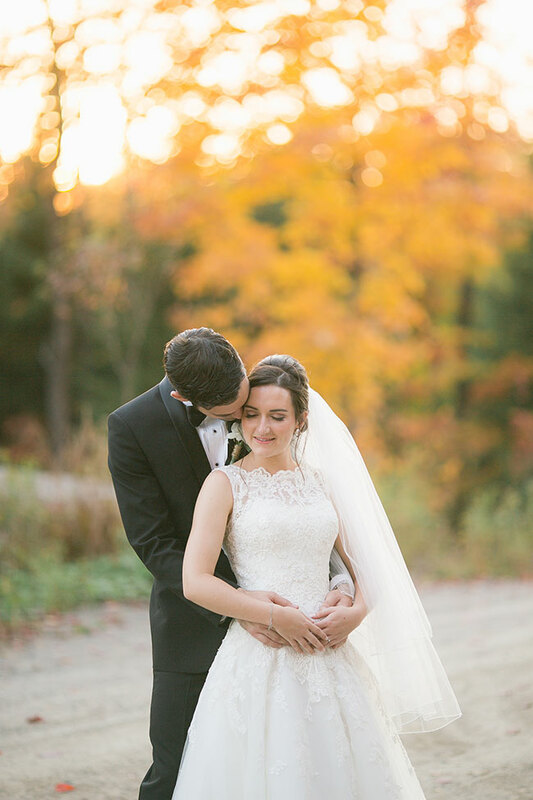 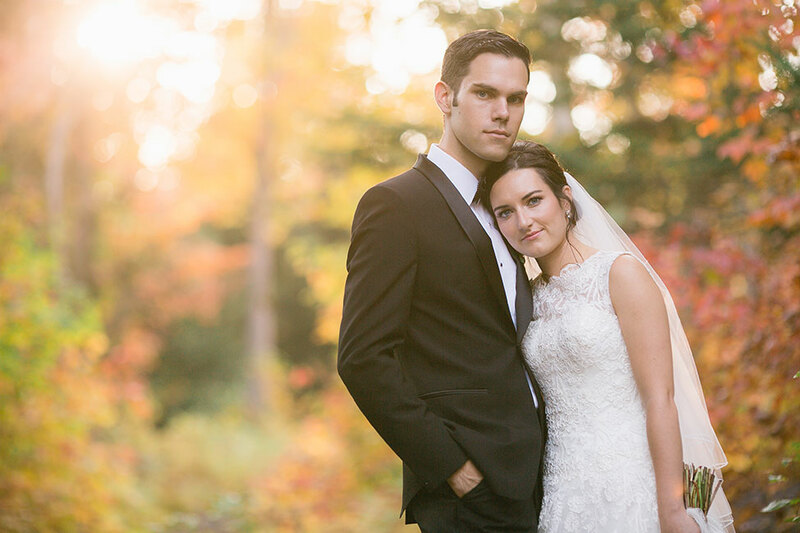 Jessika & Alexandre’s vision of a romantic Quebec wedding was one set in autumn filled with elevated chic vintage wedding details, beautifully articulated by wedding florist & stylist 5Ssens. 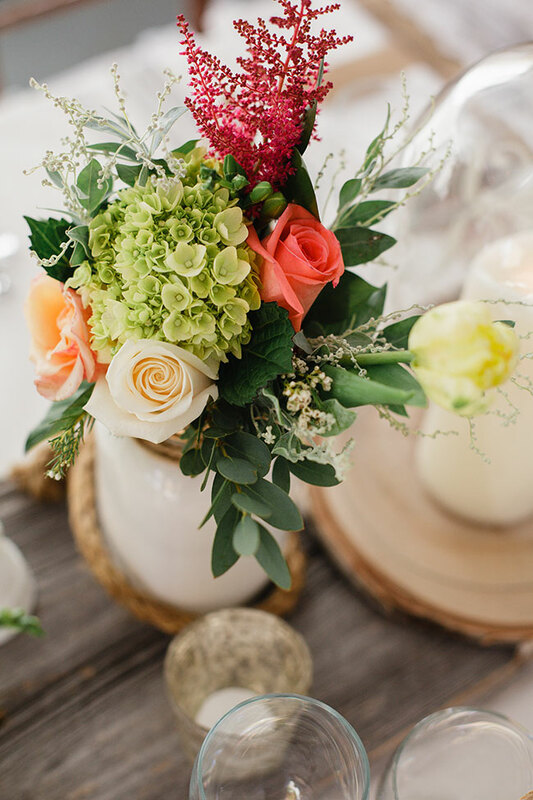 With a vibrant palette surrounding them, the couple opted to work with more organic hues injecting pops of coral variations for flavor. 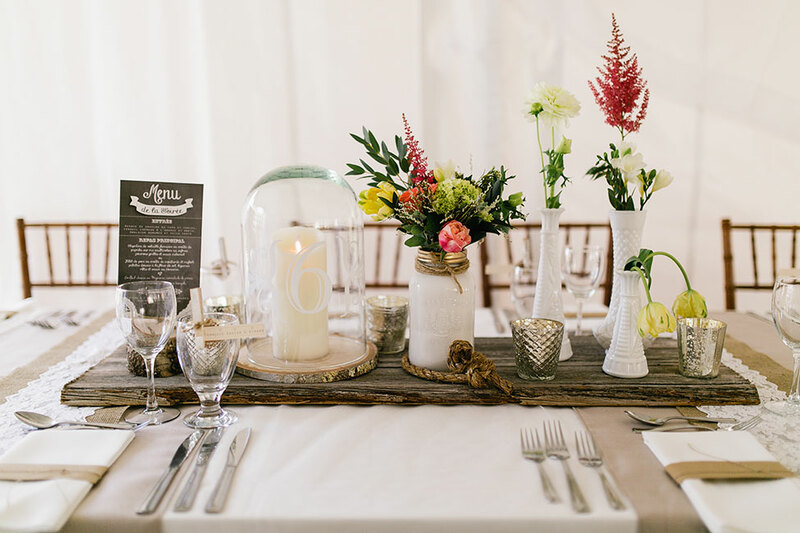 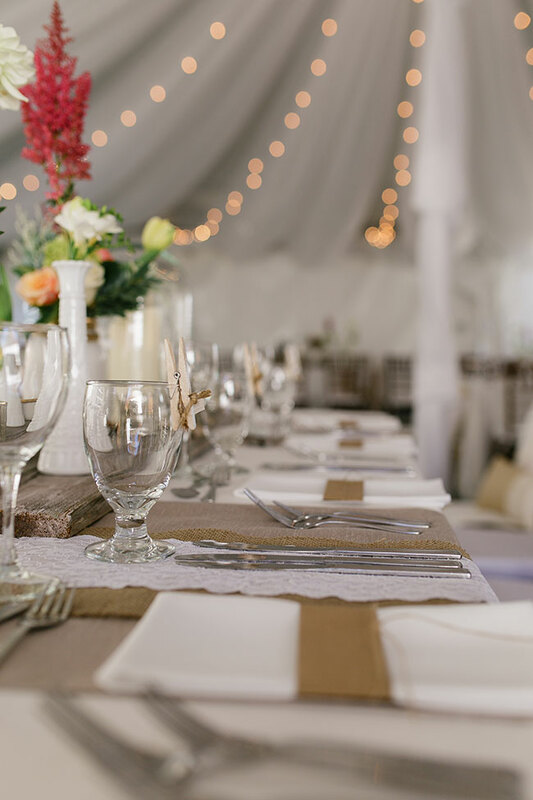 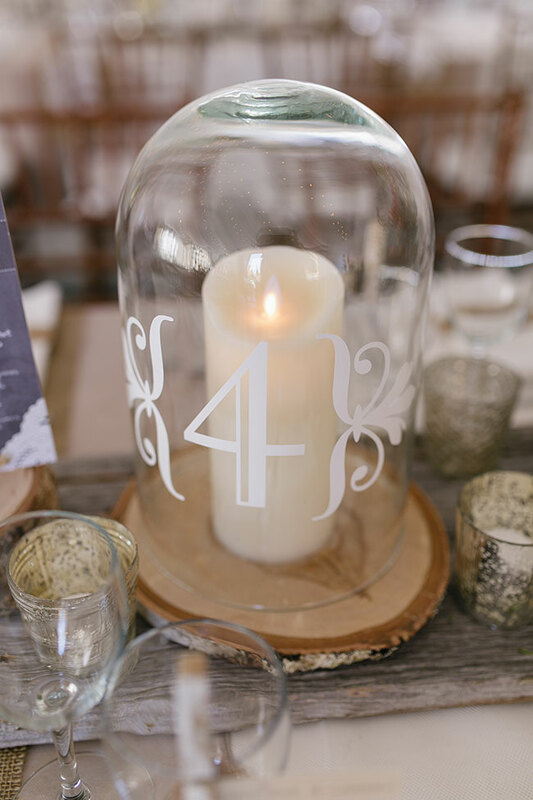 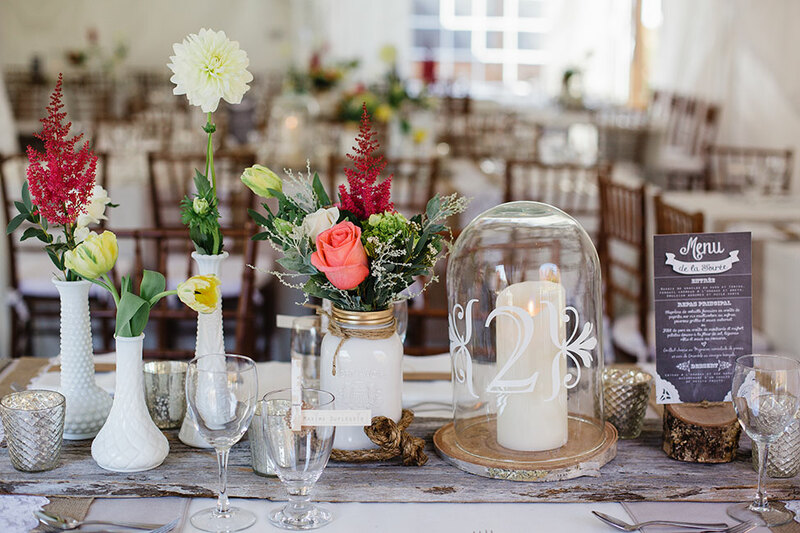 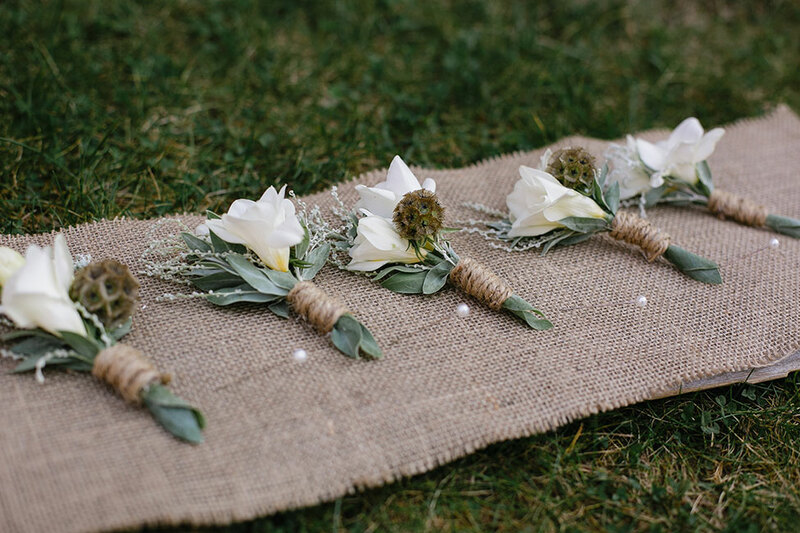 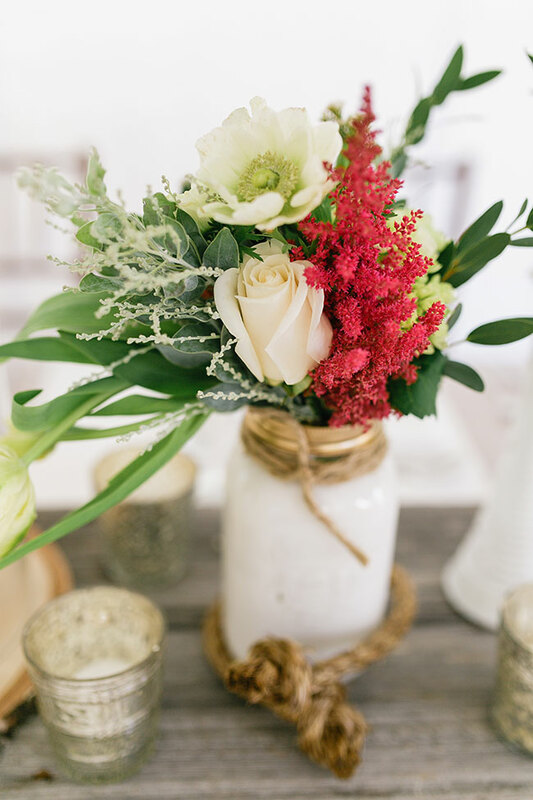 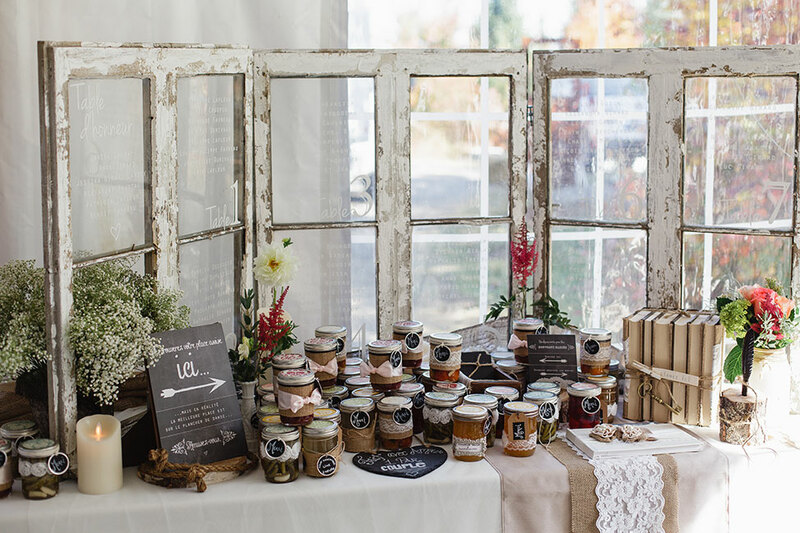 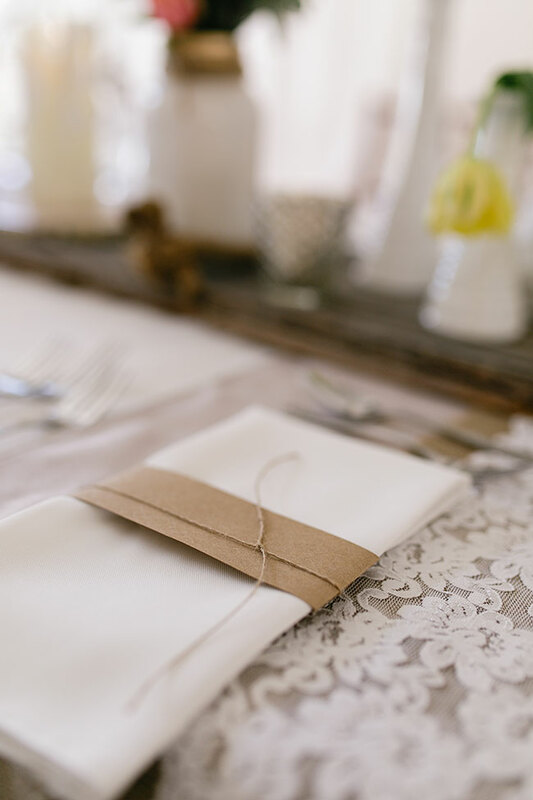 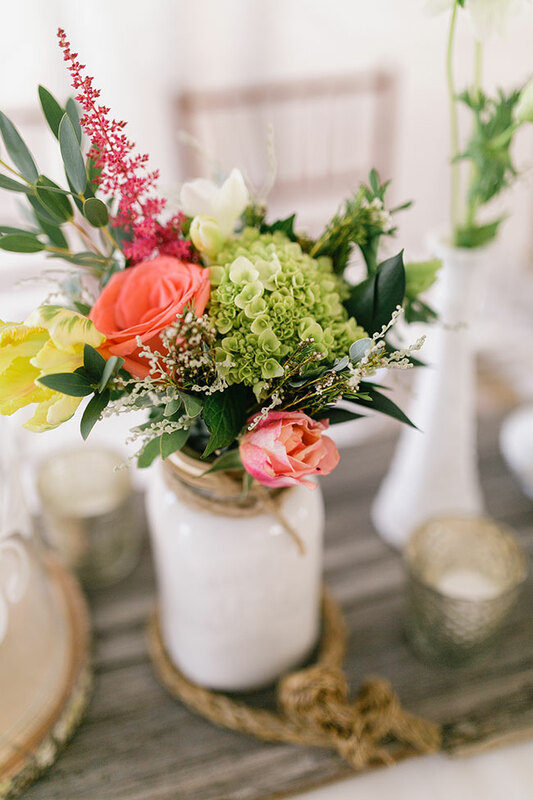 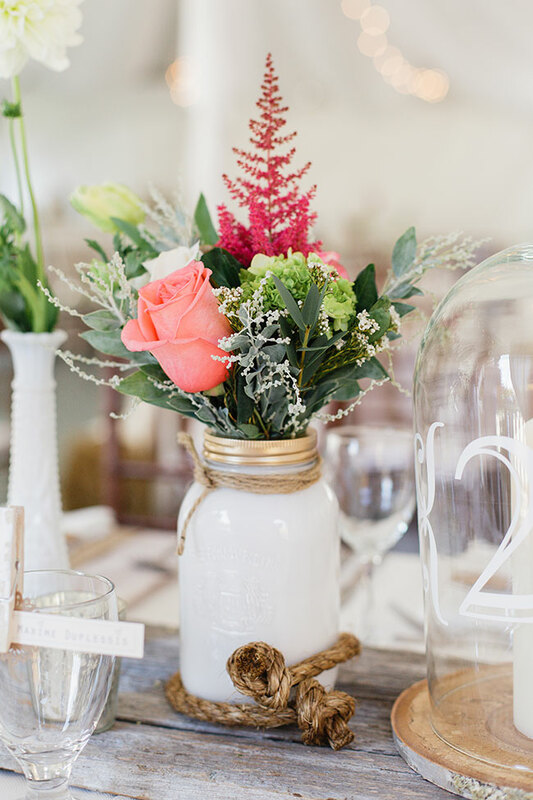 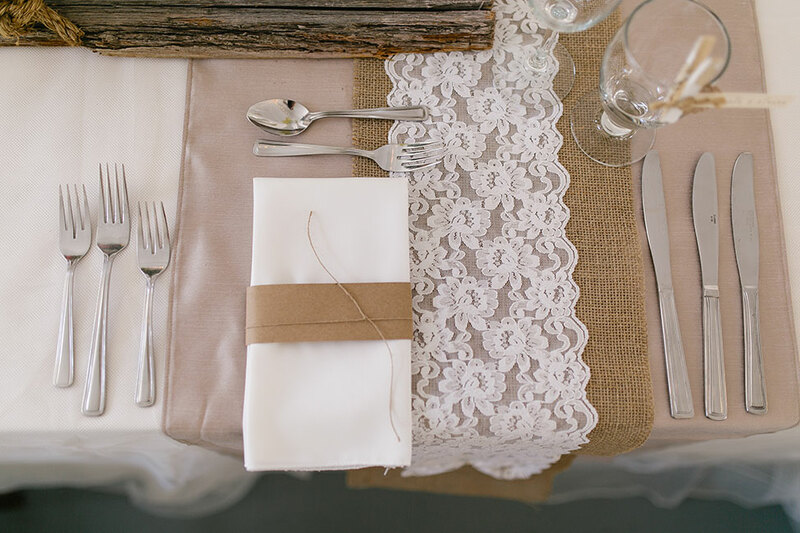 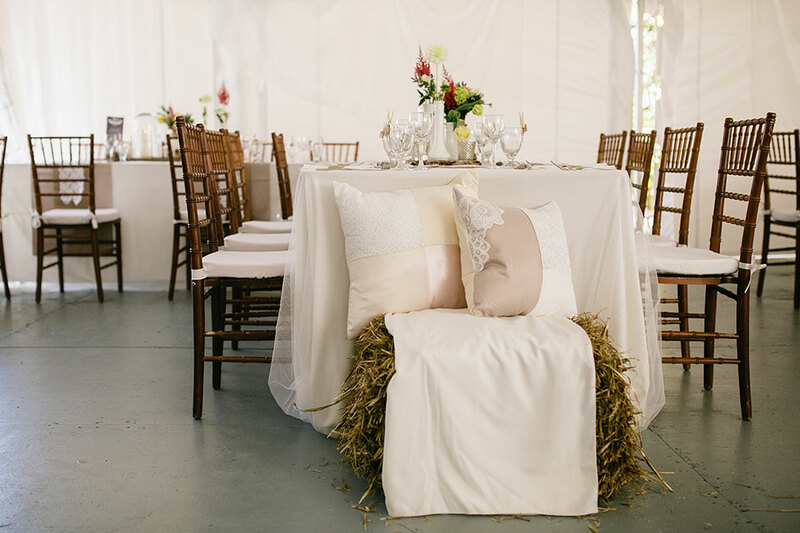 Vintage window frames, tall pheasant feathers, thick rough cut rope, burlap & lace table runners are a few pieces to their wedding decor design, elements that were paired with milk white vases to create a gentle vintage feel. 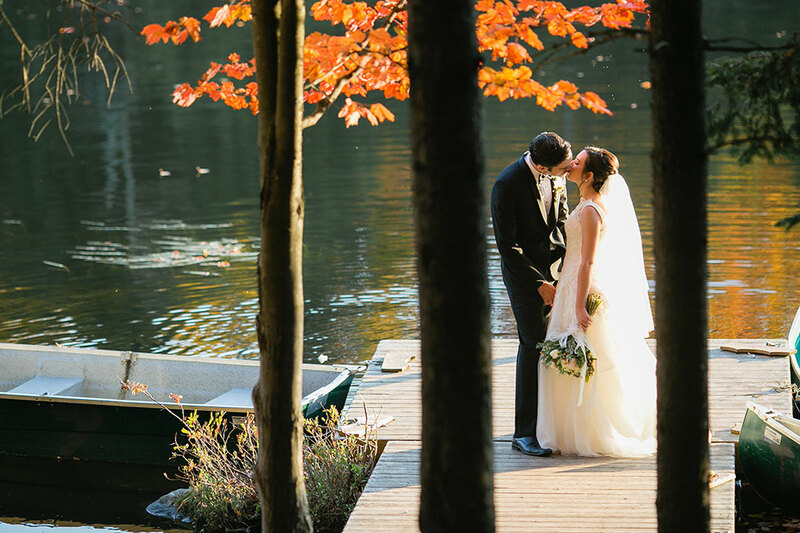 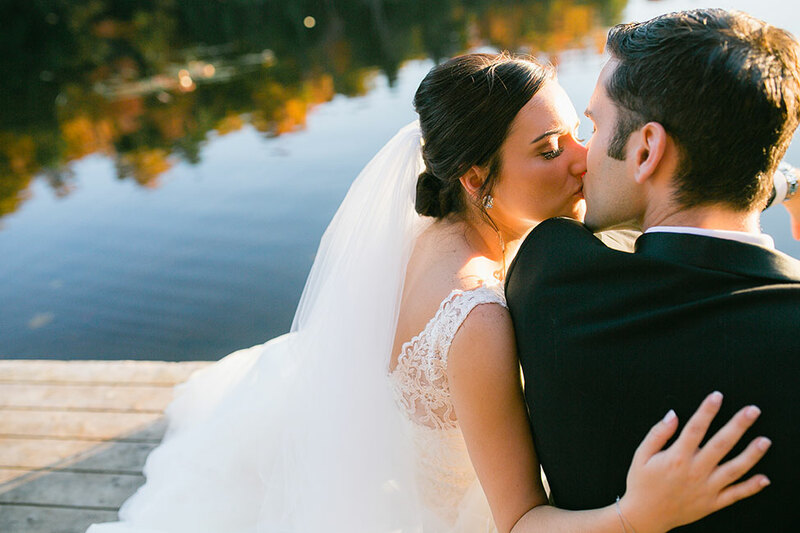 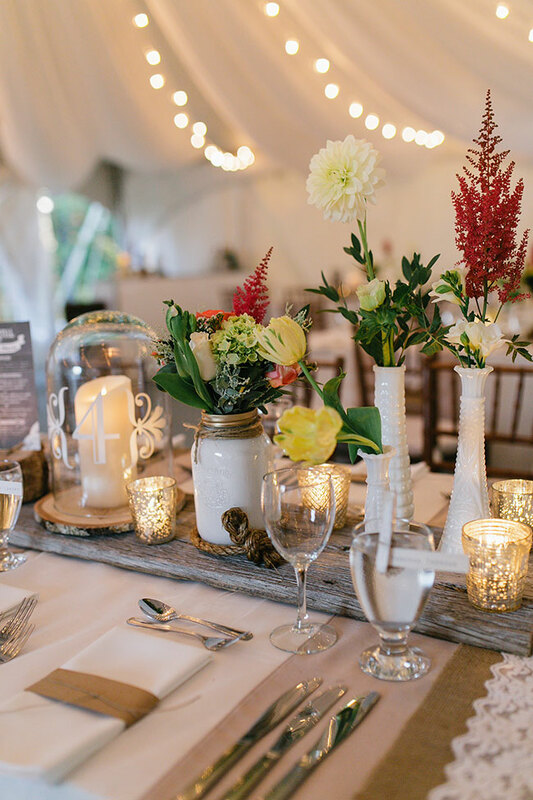 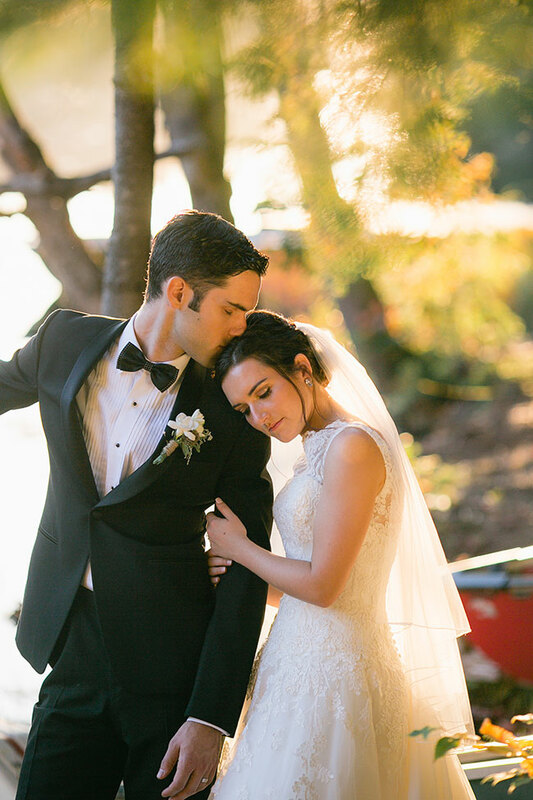 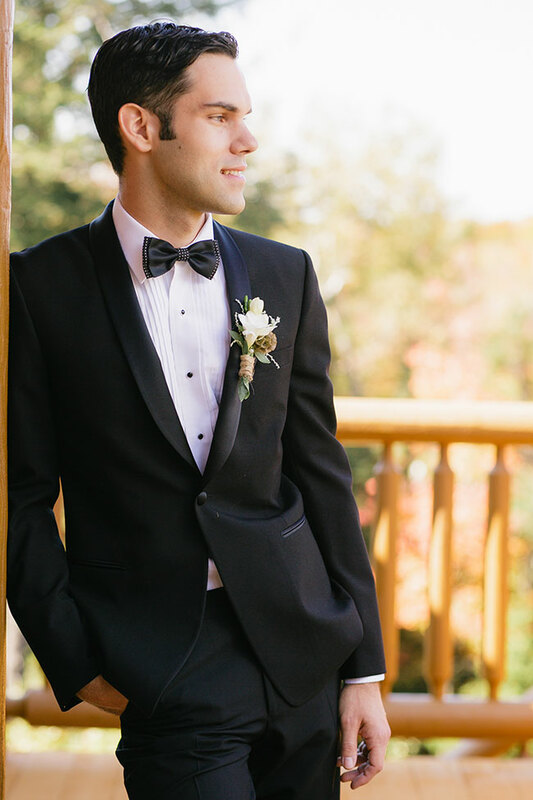 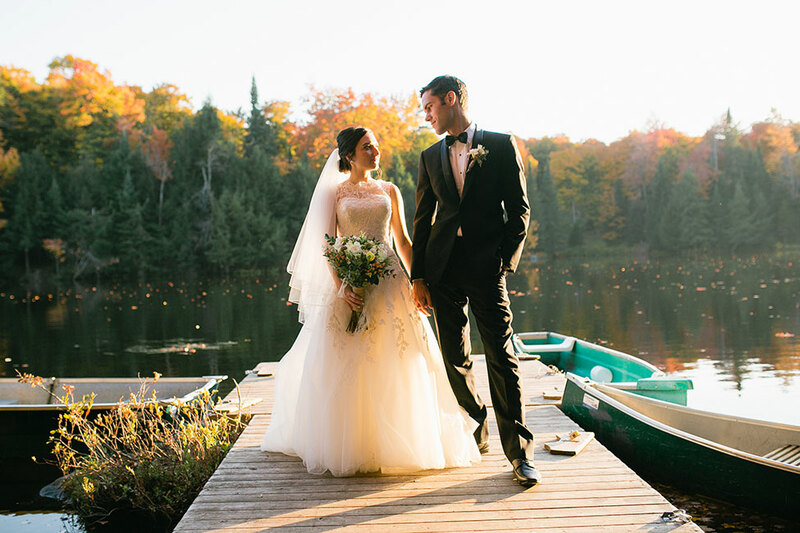 Jessika & Alexandre’s wedding took place along the shoreline of Canadian vacation spot Fiddler Lake Resort, taking advantage of golden trees and the perfect meadow for a tented reception. 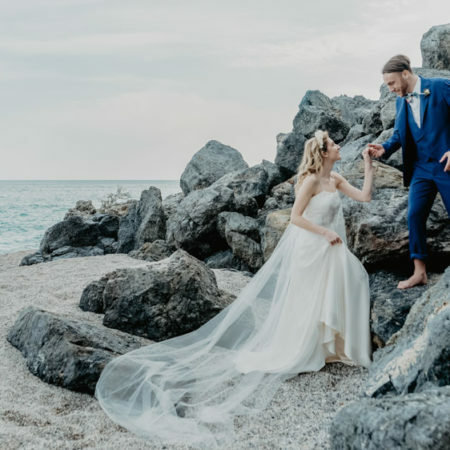 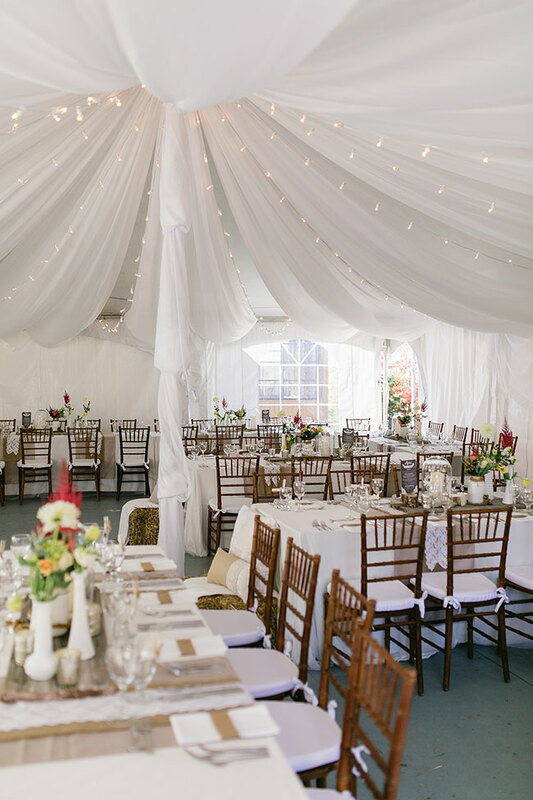 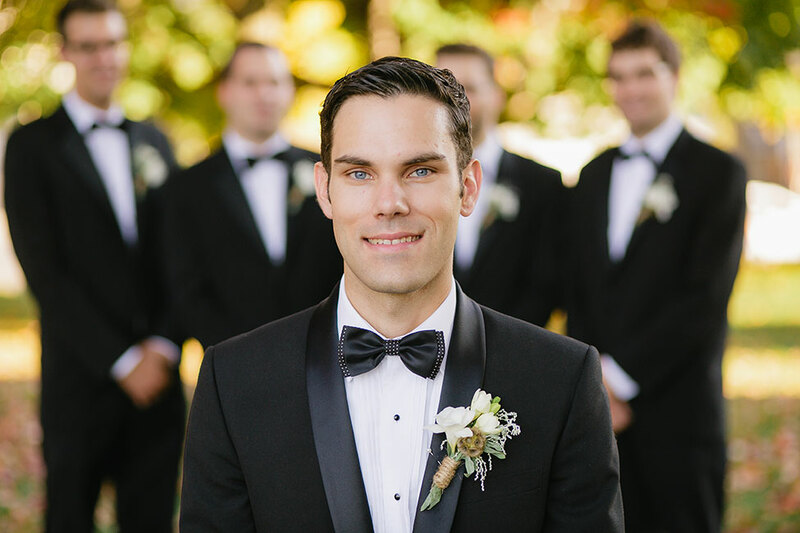 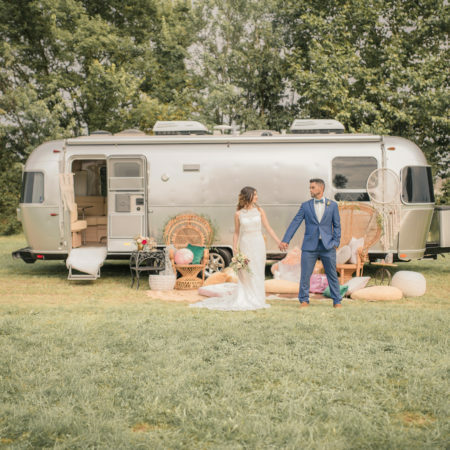 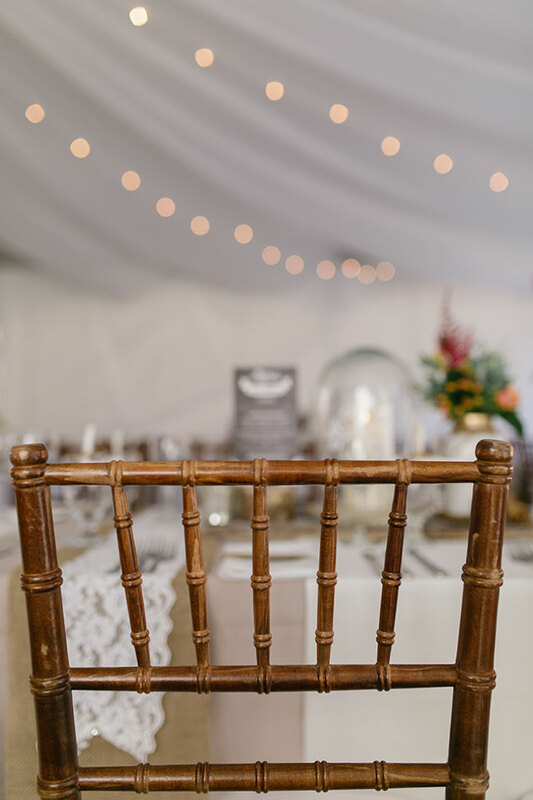 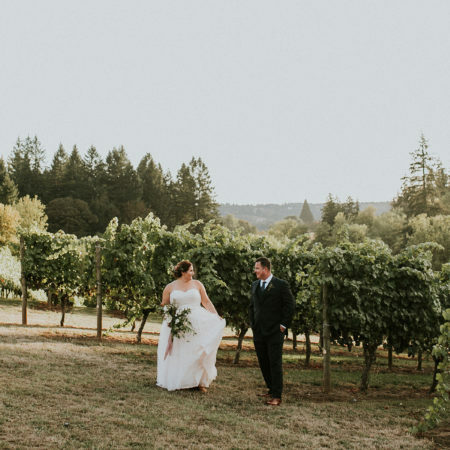 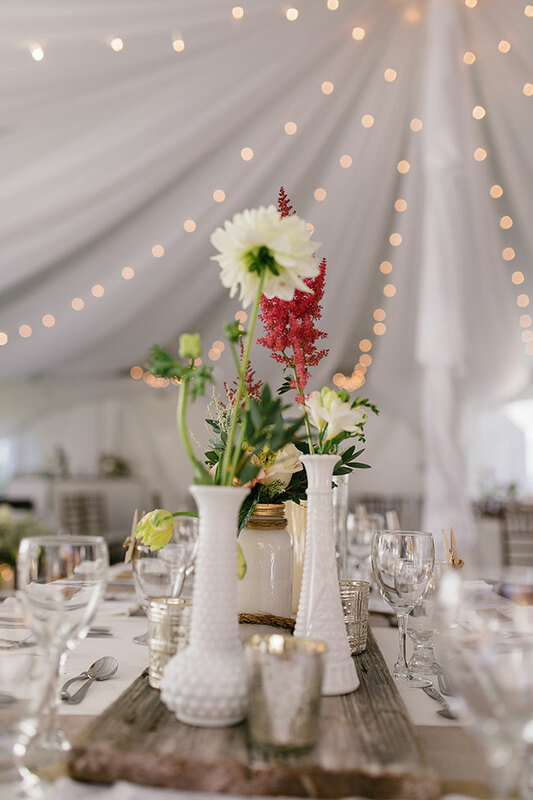 To pair their vintage chic wedding decor, the couple’s tent was dressed in soft panels of tulle which were intertwined with thin strands of lights, driving home the truly romantic affair. 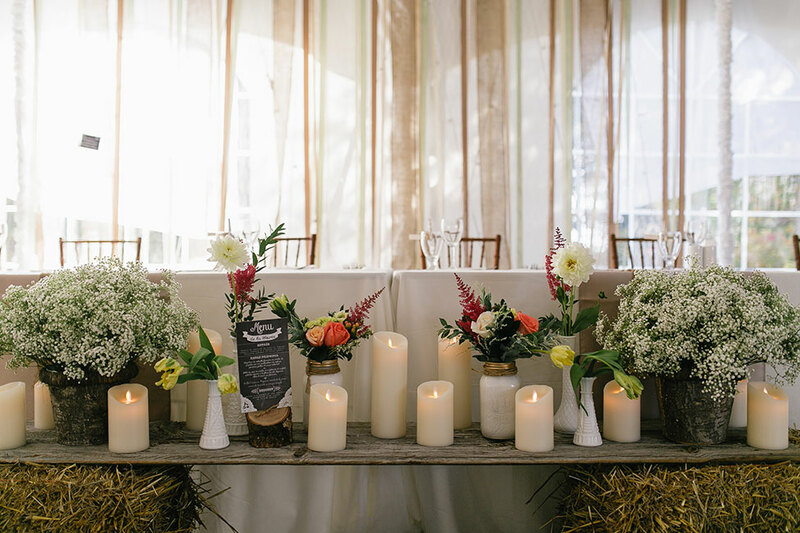 A unique feature to their wedding reception, guests were invited to stroll from table to table, stopping to chat while perched along hay bale style setting at the ends of each table. 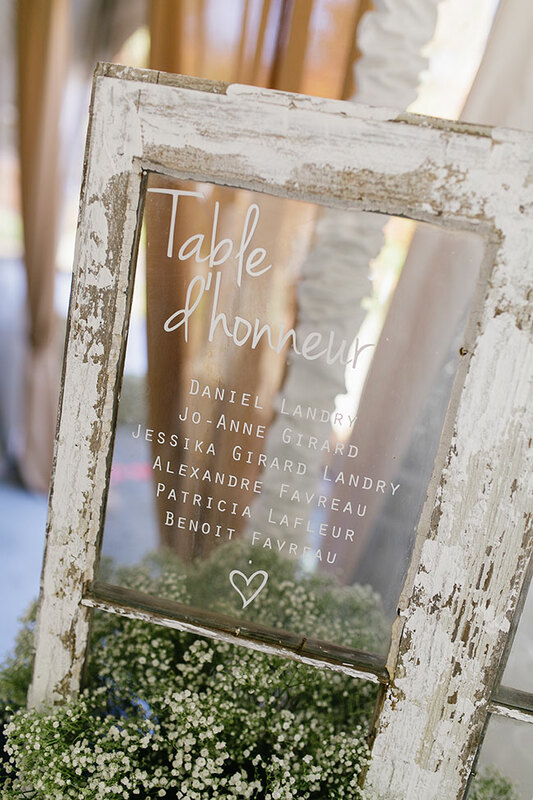 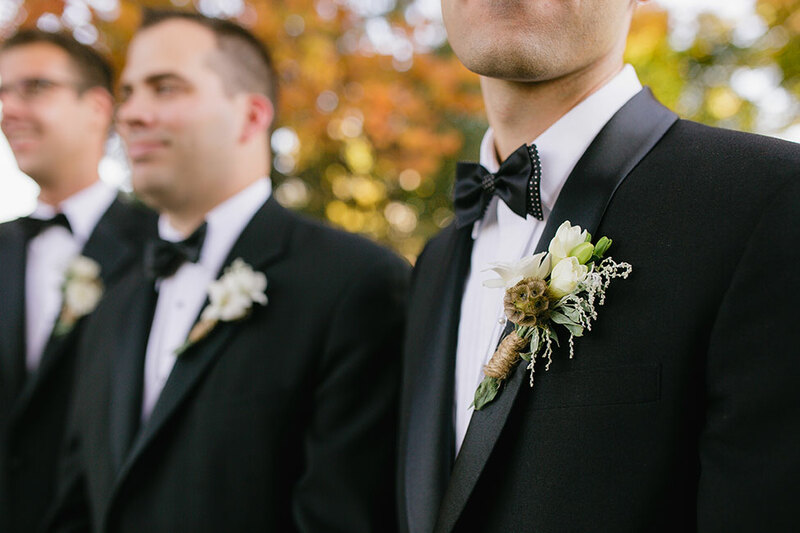 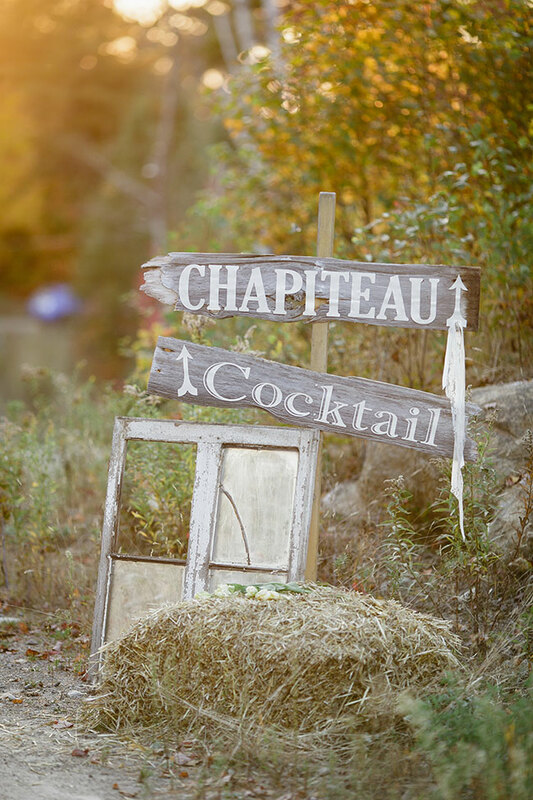 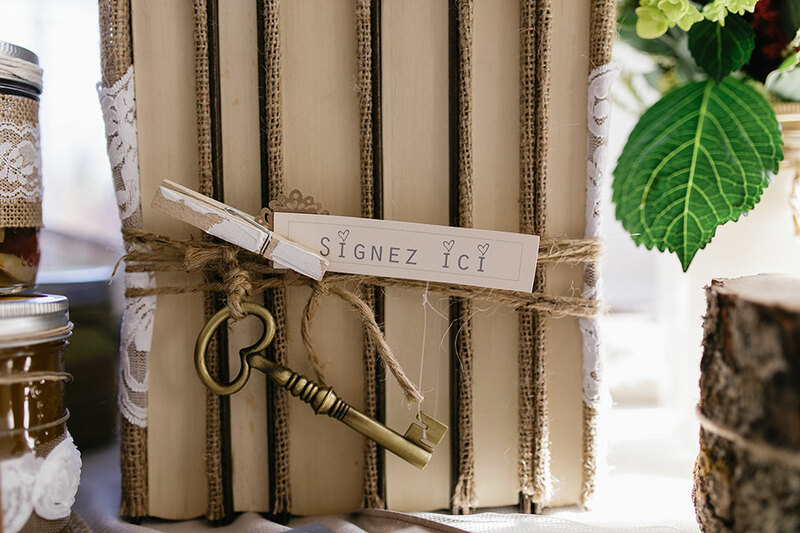 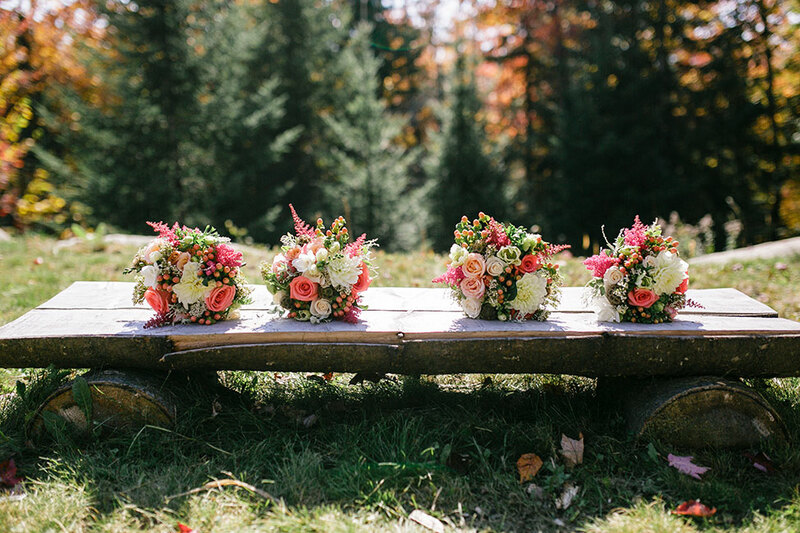 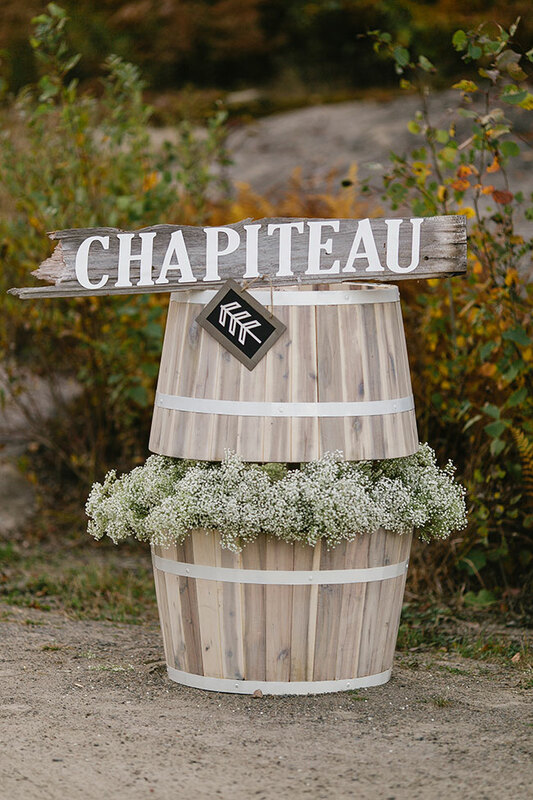 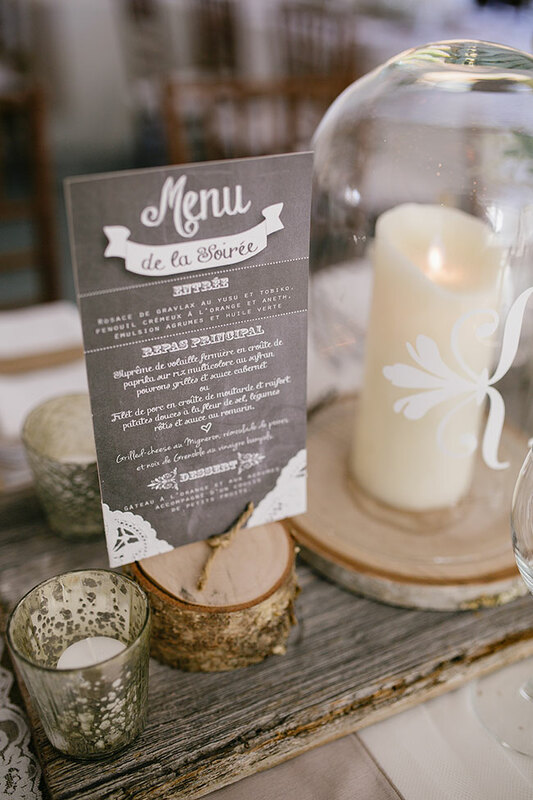 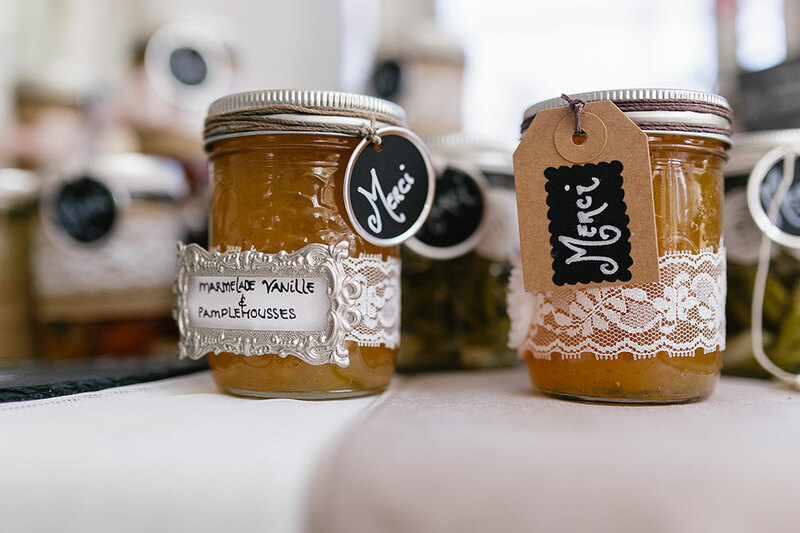 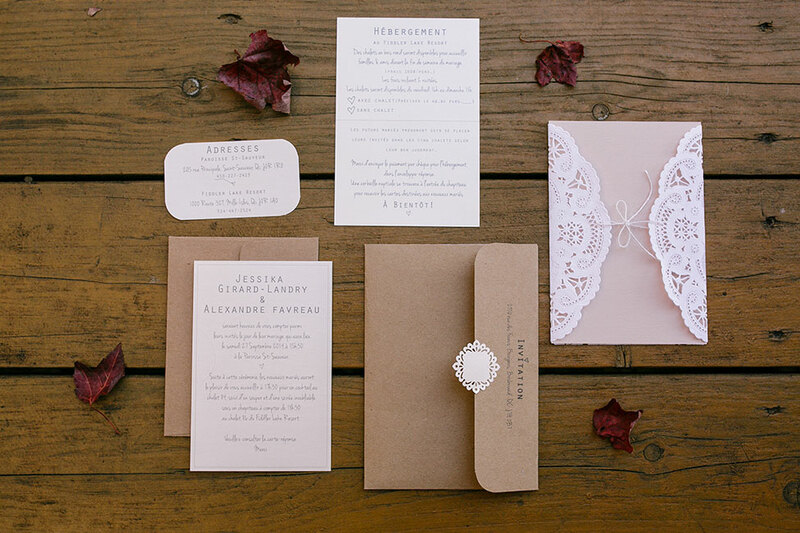 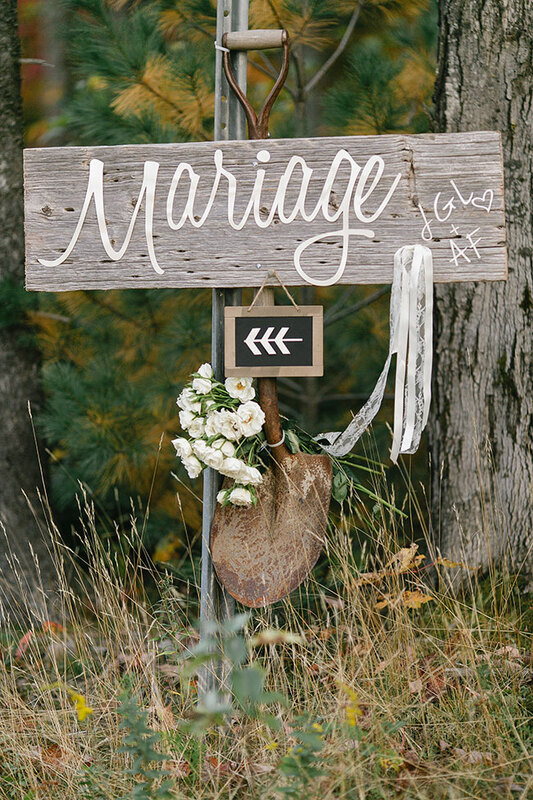 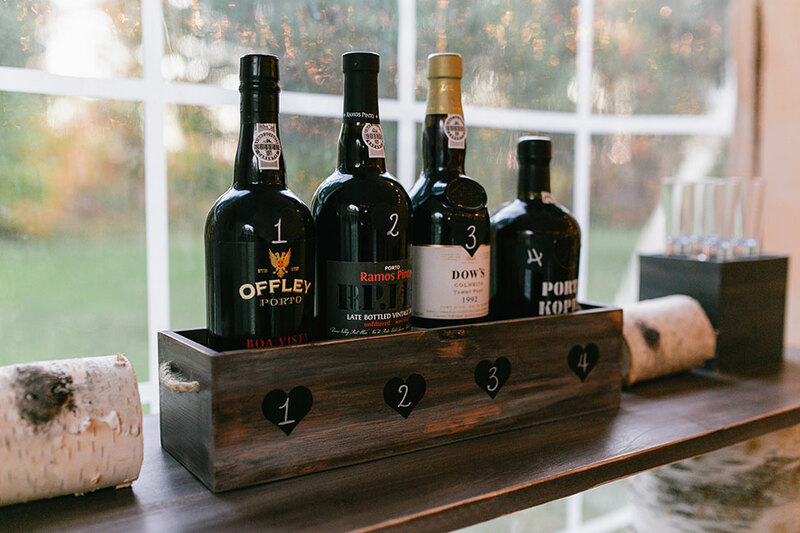 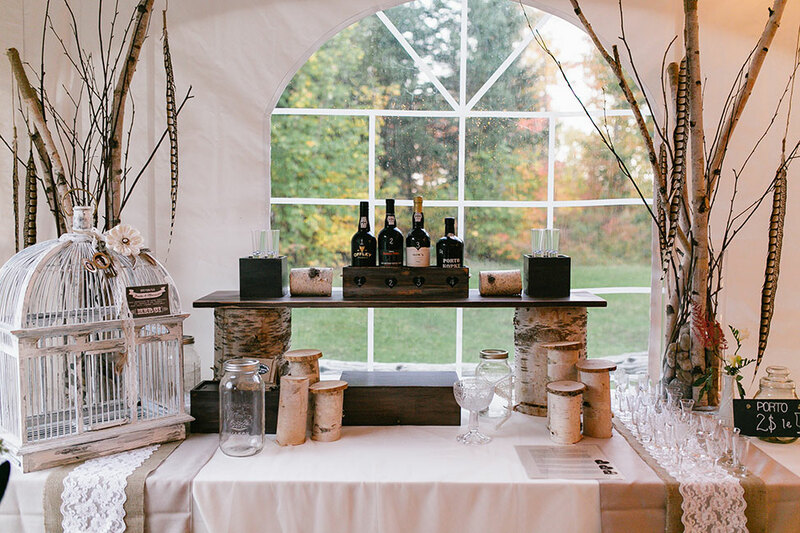 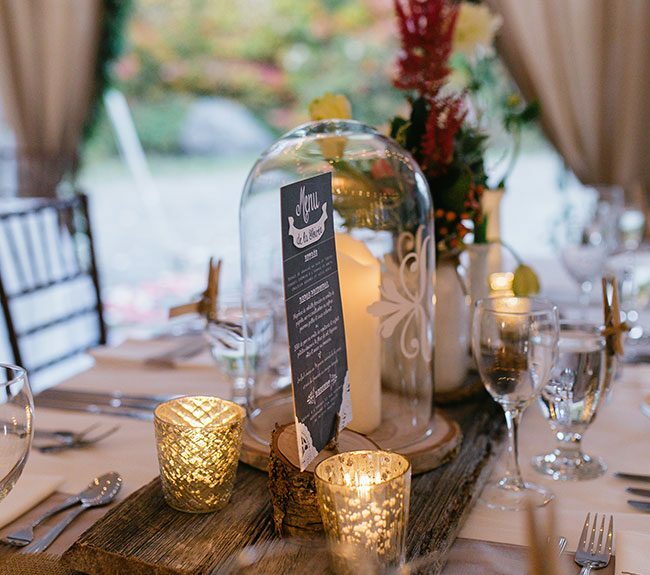 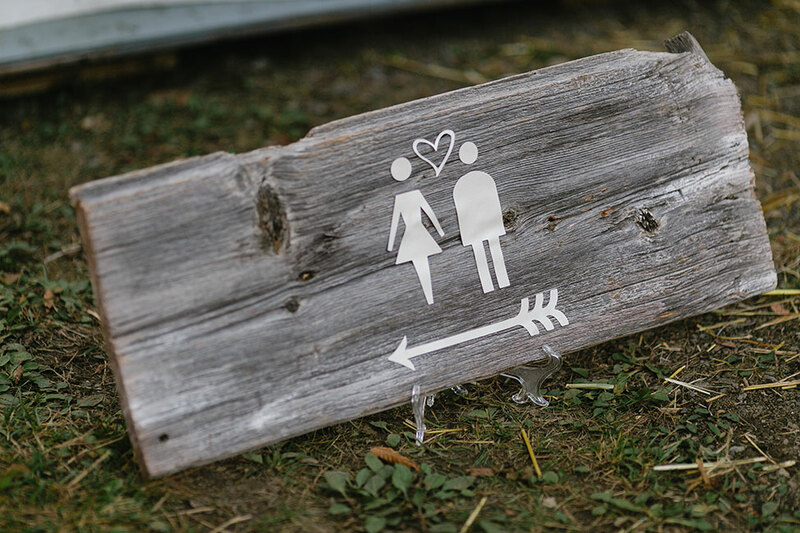 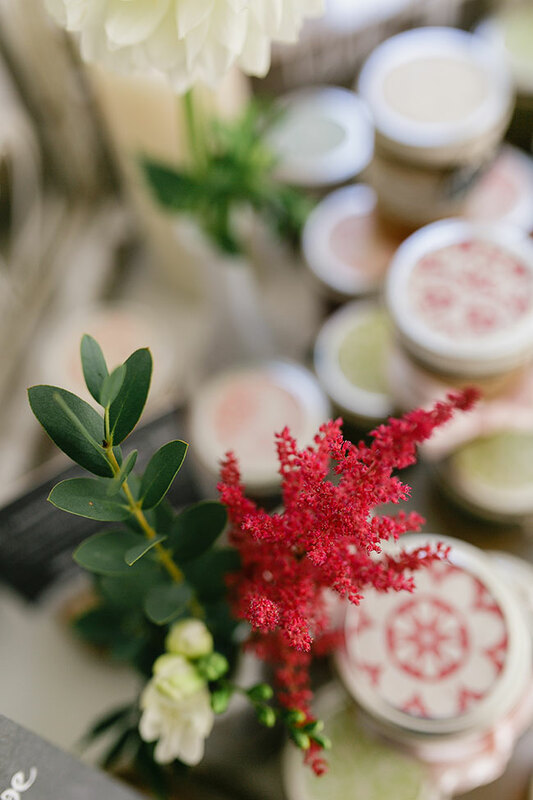 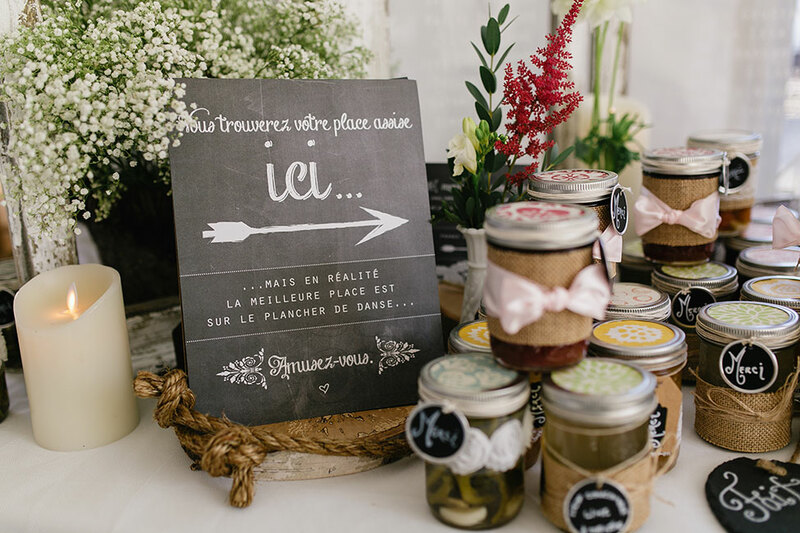 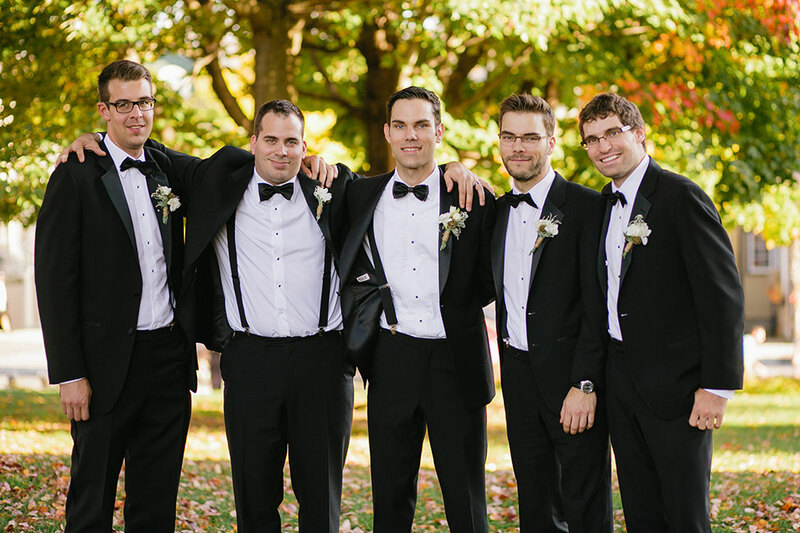 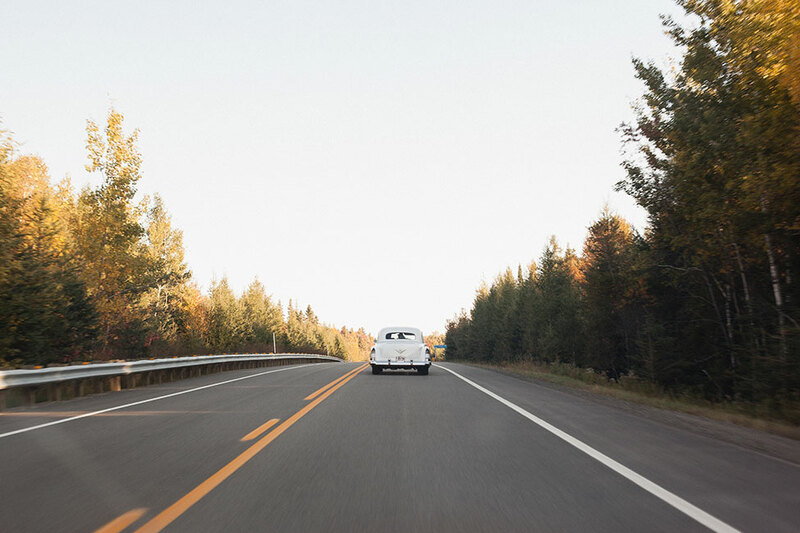 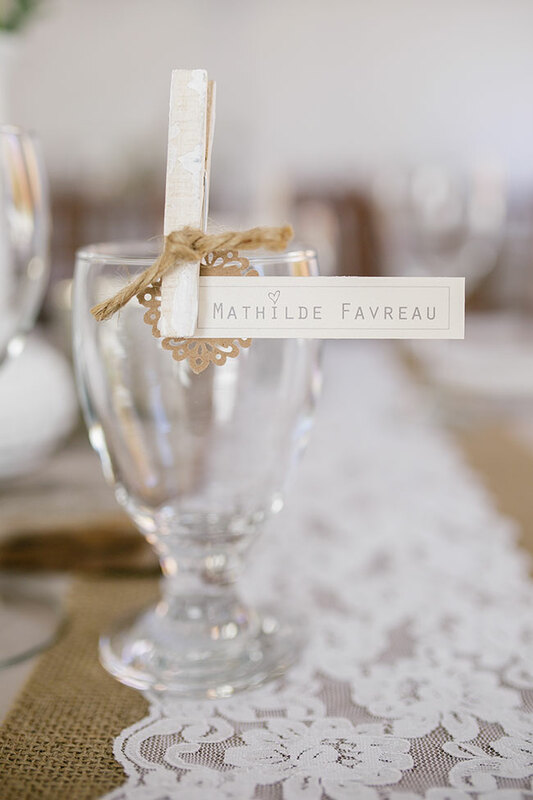 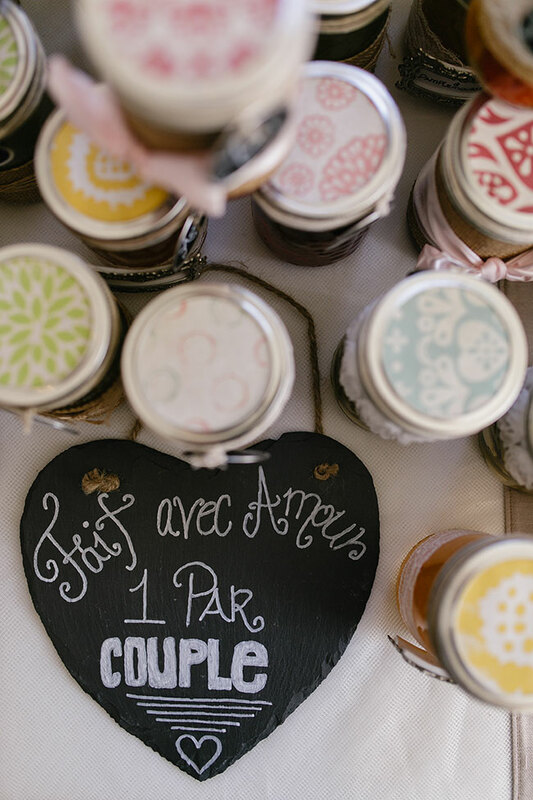 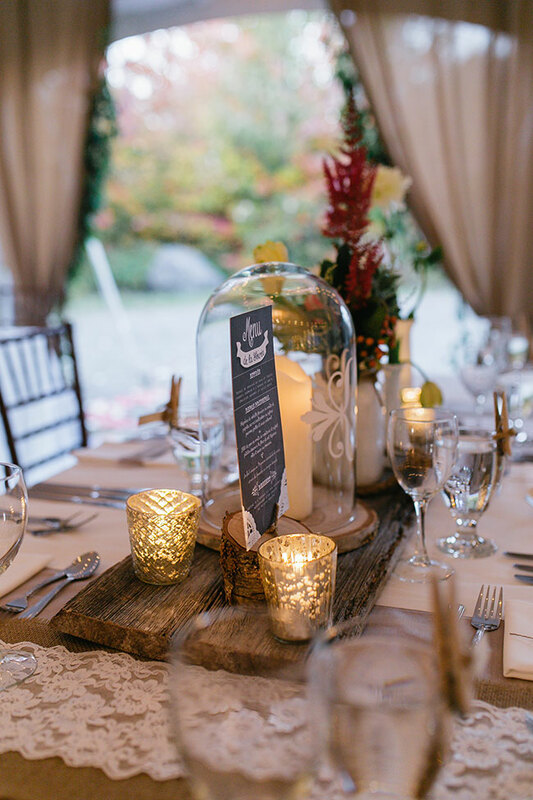 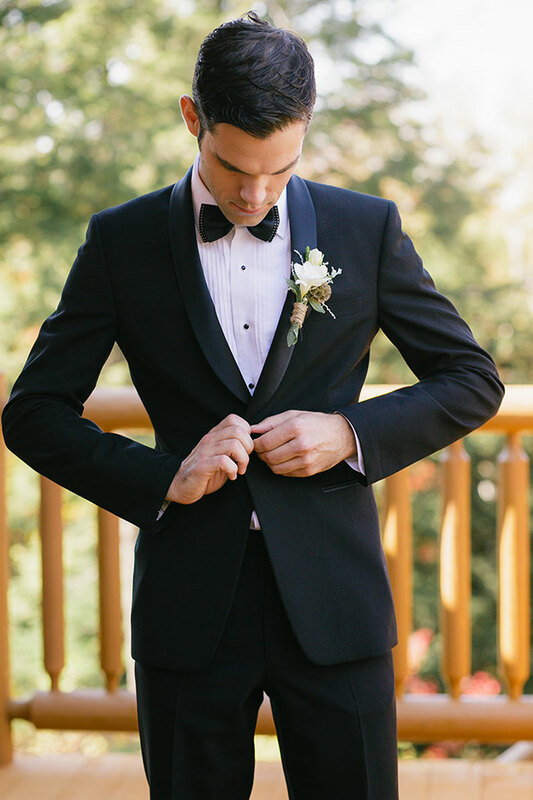 Canadian wedding photographer Sonia Bourdon Photography did a lovely job capturing each unique detail to this chic fall Quebec wedding, with so many lovely little wedding decor nuances, I won’t be surprised to see variations of them in weddings to come!